Last month, more than a dozen electric vehicles filled the Capitol Courtyard in Tallahassee for Drive Electric Day Florida, sponsored by a coalition of the Sierra Club, state utilities, county governments and auto manufacturers. 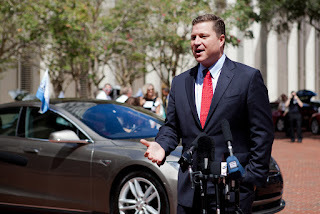 "The future of vehicles in Florida absolutely includes electric vehicles,” said Senator Jeff Brandes, chair of the Senate Transportation Committee at a press conference on the Courtyard. 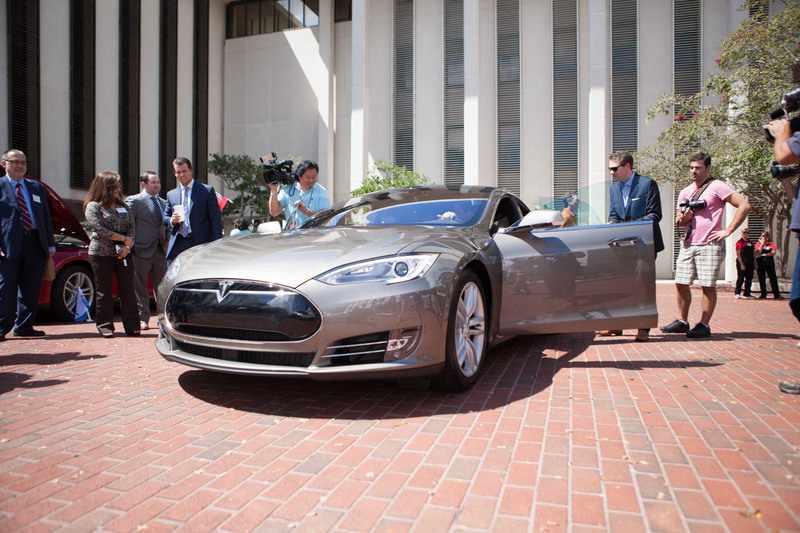 Drive Electric cars in the Capitol. Photo by Phil Compton. Sierra Club is the leading environmental organization in Florida placing a priority on Electric Vehicles (EVs) as an important tool to fight smog and climate change. Drive Electric Florida members, including Sierra Club Florida Staff Director Frank Jackalone, testified at the Senate Transportation Committee Meeting and met with dozens of legislators and their staff. The event drew 300 and received media coverage from 9 FL TVstations, with stories placed in 7 websites. FL staff Frank Jackalone, Phil Compton and FL Healthy Air Campaign Lead Volunteer Tom Krumreich represented Sierra Club FL at Drive Electric Day at the Capitol. Electric buses also had a major presence. 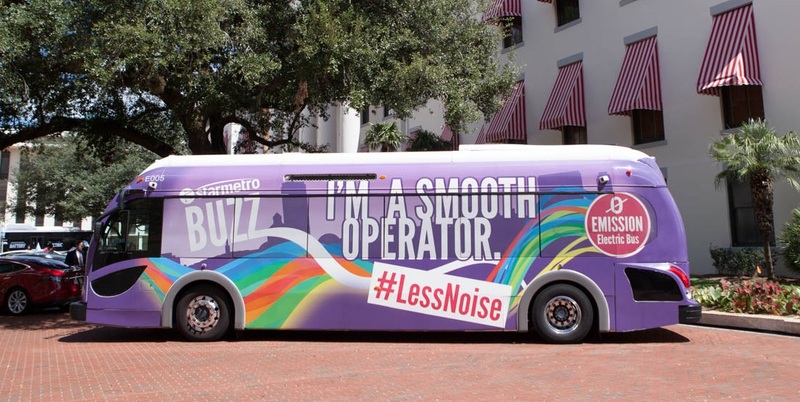 Tallahassee’s StarMetro transit agency brought one of its five zero-emission all-electric Proterra buses, while BYD also displayed its 100% electric bus. 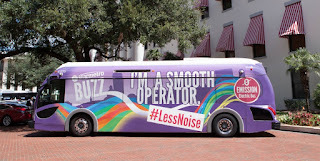 Transit agencies around the state in places like Miami, Ft. Lauderdale, Orlando, St. Petersburg and Gainesville are now seriously considering including these quiet, cost effective buses. A Tesla test drive. Photo by Kevin Cate. 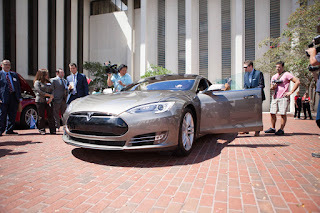 The event was a highlight of week-long Drive Electric events throughout Florida and the US. 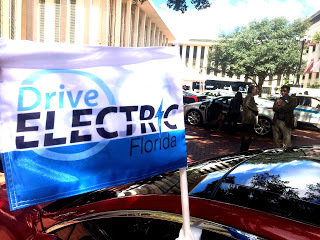 Going forward this fall, the Drive Electric Florida coalition will lobby the state legislature on key priorities: improving EV charging infrastructure, eliminating barriers to home charging at multi-unit dwellings (apartment, condos, etc.) and making EV ownership affordable for more Floridians with sales tax relief on purchases.